Every Christmas we go grapefruit picking in Palm Springs. We all head out on the golf cart and hunt for the ripest trees around my parents' house. and I have spent the last week trying to figure out a way to use our bounty! It is so light and refreshing, we have tried it on a few different salads. and my fave was with arugula topped with parmigiano reggiano cheese. 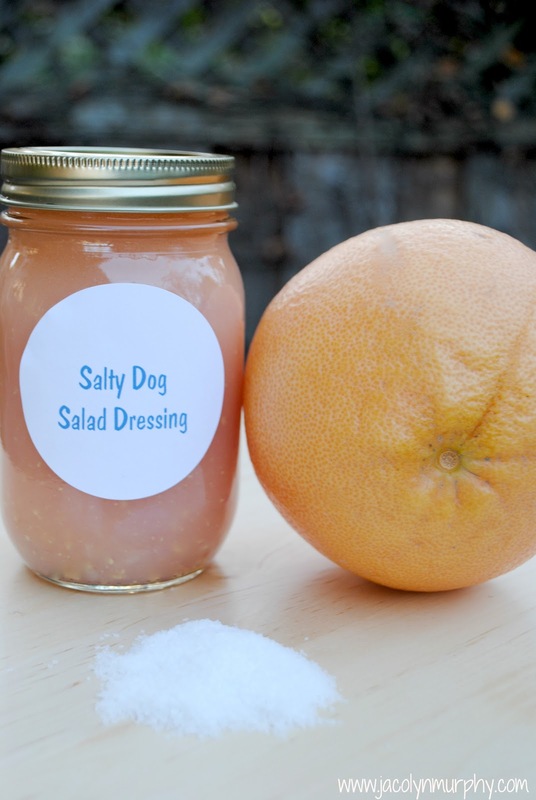 Now I can have Salty Dogs all the time! What a fun Christmas time tradition. No way could we do that in Oregon. Too cold and wet. 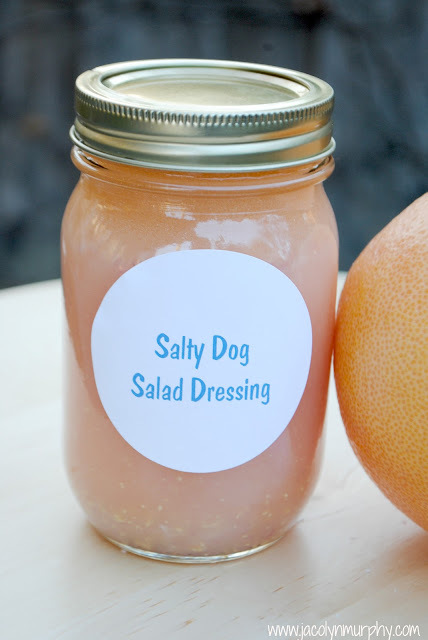 Great idea for salad dressing. That sounds delicious ... I'm pinning it! I love the thought of you out grapefruit picking ... what a fun tradition!